Possibly one of the best memes ever, mainly because it’s true for a lot of positions today. 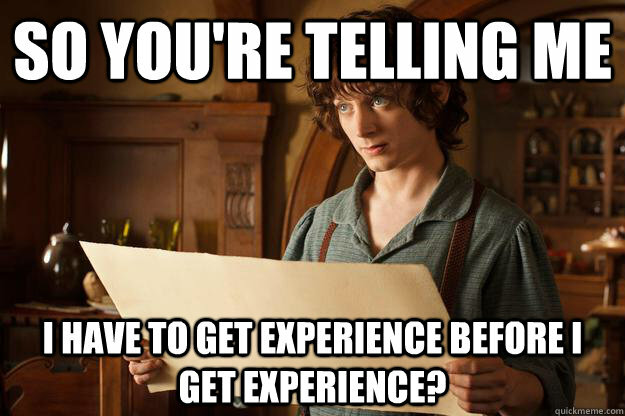 And Frodo’s face is priceless. I’m very fortunate to have acquired so much experience at a young age. Thanks to my family and friends who support me, I have no intention of being in this position. I thought this was cool. It makes you wonder, who really is the fastest? Personally, I think Beep Beep the Roadrunner is going to take it, but I’m a little biased. Who do you think is the fastest? This meme pretty much sums up my life right now. In fact, I think this applies to most college students nowadays. I remember about a month ago, I went for a week without grocery shopping. My meals consisted of fast food, whatever my roommates would cook and leftovers from either of those two options Once I caught myself in this routine I immediately pulled myself together. Eating unhealthy is bad for you and it’s one of the quickest ways to get sick and/or overweight. So I knew what I had to do. The next day I made the inevitable trip to the grocery store. I’d say it was coincidence that I was starving at this point, but we know that’s not true. I neglected going to the store for a while, but it’s not my fault! Buying groceries can be a hassle sometimes, especially when you shop at the biggest HEB in Texas. Anyways, I was very hungry on this trip. I’ve been told not to grocery shop on an empty stomach, but it’s not like I had a choice. The reason you shouldn’t buy food when you’re hungry is because you’ll end up spending more than you normally would. 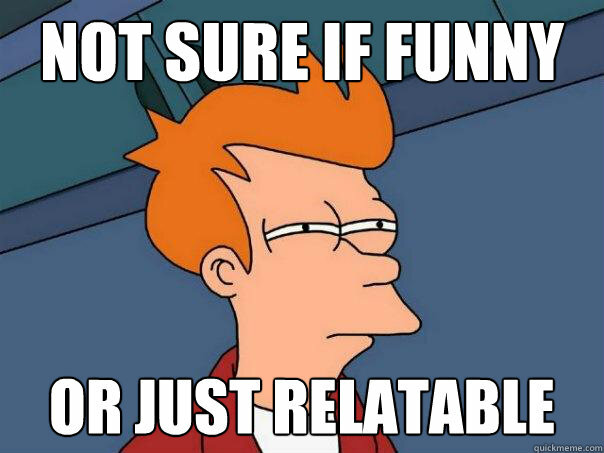 And that’s why I think this meme is so funny, especially when applied to a college student. 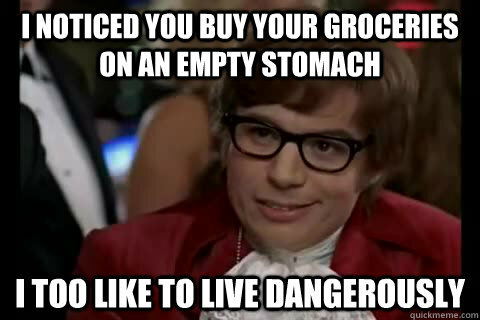 It makes it seem like you live your life by grocery visits, and you only visit the store when you’re completely out of food. That’s my mentality behind this particular meme. Plus, that face that Mike Myers makes is hilarious. 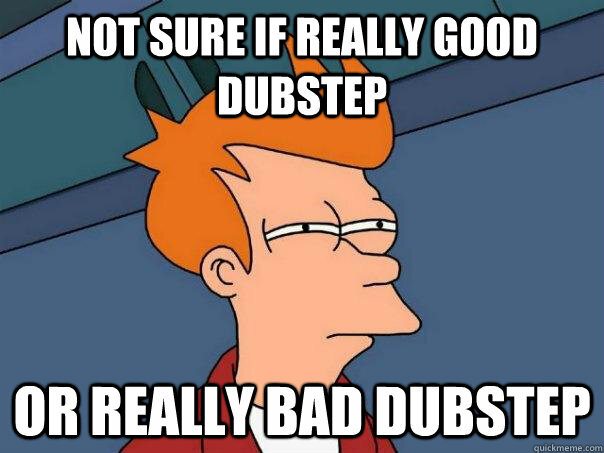 There is so much dubstep out there these days, it gets difficult to tell the good from the bad. In my opinion, when people are out at parties or clubs they don’t mind the music as much because they’re already having a good time. I wanted to create a playlist with all my favorite dubstep songs and then some; songs with real melodies and catchy beats. Every song on this playlist was picked for a reason, either by me or a friend. Rest assured, you’ll never be in the same dilemma as Fry again. With over 400 hand-picked tracks and songs being added daily, Best Dubstep (Chillstep) is truly one of the best dubstep playlists on Spotify. 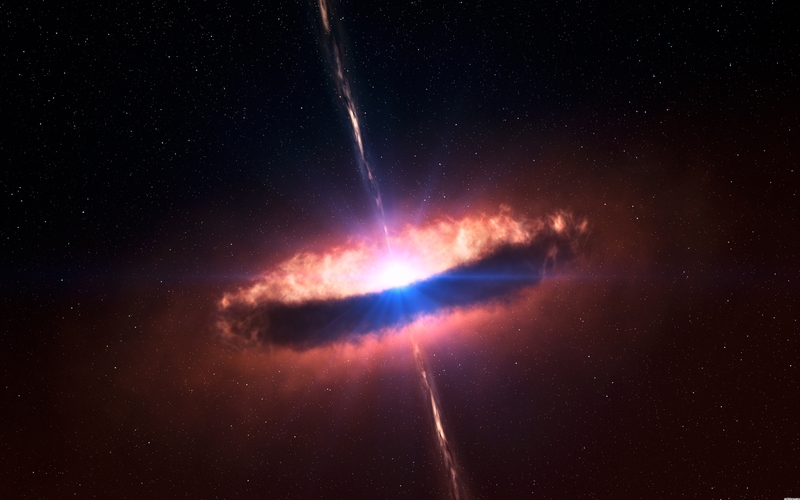 Check it out and follow if you like what you hear! This is another one of my favorite meme backdrops. 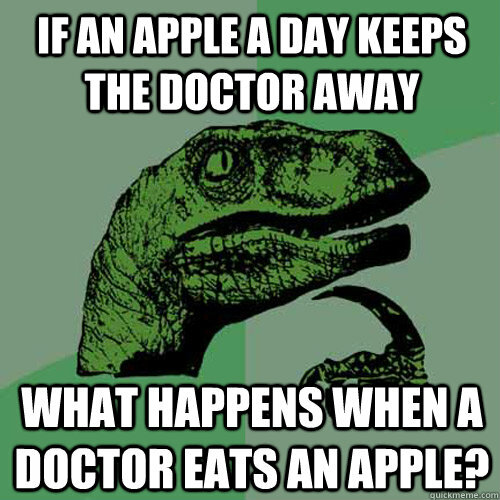 This velociraptor has done more critical thinking in its time than a lot of people have. Maybe a bit too much thinking in all honesty, but it’s still funny to watch the raptor struggle with these difficult hypotheticals. Put yourself in the raptor’s claws and think about it! I don’t care what anyone says. The fry meme is definitely one of my top five favorite memes! This meme has truly captured the thought process of a skeptic. It’s just funny to see what people are skeptical about I guess. I just made this meme on QuickMemes! What do you think, did I nail it or what?